During the summer of 2009 the group held a very successful Heritage Tree Hunt in the area of the Dundas Valley. Click on Inspiring Review of Nominations for the movie of nominations to music. You can read below to follow how the project progressed. Results have now been posted. 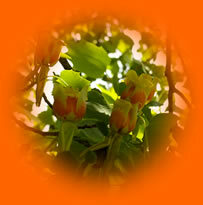 There were 133 nominations received for 120 individual and groups of trees. Click on Results to see the full details on winners and honourable mentions, tree story honour roll and awards presentation. Woohoo! The winners of the Heritage Tree Hunt were announced this evening at the Awards Celebration held in the sanctuary of the Dundas Baptist Church. Over 80 were in attendance in spite of the later booked flu clinic held in the gymnasium! Many have responded about how the celebration was enjoyable, informative and inspiring. 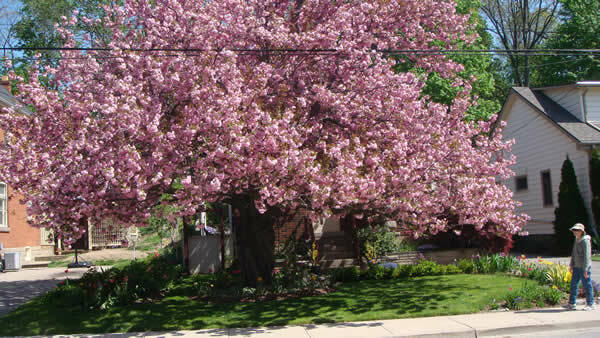 The Best Tree Overall winner is the Tulip tree at the front of 35 Cross St, Dundas. Our sincere thanks to all who participated to make the Heritage Tree Hunt such a success! The nomination period for the Heritage Tree Hunt is now closed and we are no longer accepting nominations. 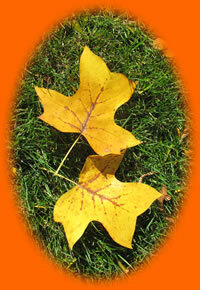 Thank-you to all of you who have shown interest and supported the Heritage Tree Hunt by submitting nominations. The response has been inspiring! The early tally shows over 80 nominations have been received; a resounding success. Woohoo! Judging will take place over the next month. Our honourable judges have their work cut out for them to decide upon the winning entries! We invite the community to the open Dundas Valley Tree Keepers' Heritage Tree Hunt Awards Celebration to honour the trees and their nominators and to announce the winning trees in each category and the best tree overall. Please join us at the Dundas Baptist Church at 201 Governor's Rd in Dundas on Wednesday October 28th at 7:30pm. We look forward to seeing you! We are in our final stretch of the Heritage Tree Hunt! As of August 15th, 2009 we have over 20 nominations submitted! Craig Campbell of the Dundas Star wrote a nice article about the DVTK’ Heritage Tree Hunt in the paper of August 14th. The success of the article was evident at the Cactus Festival on Saturday, as many people had already read it when they stopped by. The Cactus Festival was a success for the DVTK and a big thank you to those who came out in support of the Heritage Tree Hunt. We had a lot of interest from the public despite the mid-afternoon scorching heat. We extend our gratitude to the Kastrau Nursery for their generous donation of TWO serviceberry trees. Congratulations to Ron Grant of Dundas, a lucky recipient of our raffle grand prize. We would also like to remind all that active nomination period is running until September 15th, 2009. We are still looking for nominations in various categories, so don’t hesitate and nominate!!! We're excited about summer 2009! The Dundas Valley Tree Keepers with support from Environment Hamilton and community friends are happy to launch the Heritage Tree Hunt. From May 1 to September 15 we challenge you to find and nominate the greatest and most notable trees in the Dundas Valley region. Nominate a tree or group of trees that you treasure for its size, place in history, beauty, flower, form, fall colour, rarity, association with special memories, being a native tree or being a special spot to relax or play! Check out the Press Release for more information. The Dundas Valley is comprised of an amazing diversity of urban, rural and natural areas. Click Boundaries Map for the Heritage Tree Hunt map. Help us to identify important local trees in this area and to appreciate them as our community treasures! At the end of the Heritage Tree Hunt we will have our honourable judges pick the prize winning entry for each of the nomination categories and the best tree overall. We'll gather for a great celebration in October to present the winning trees and nominators. Check back later for details on the date and venue! *** Please note you will need to use Adobe Reader software to access the Boundaries Map and Press Release PDF documents. Click to download Adobe Reader for free. Kwanzan cherry tree in flower on Victoria Street.